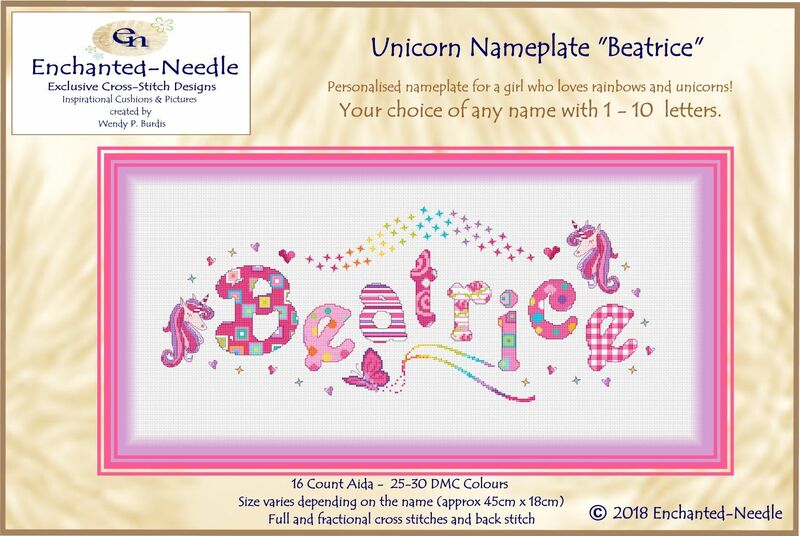 Personalised nameplate for a girl who love unicorns and rainbows! 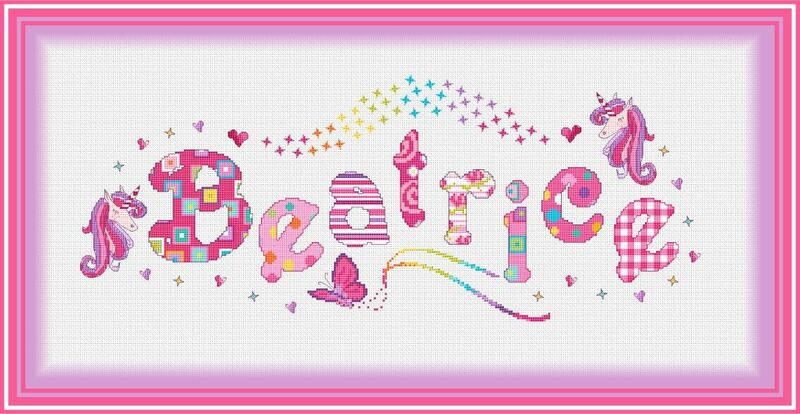 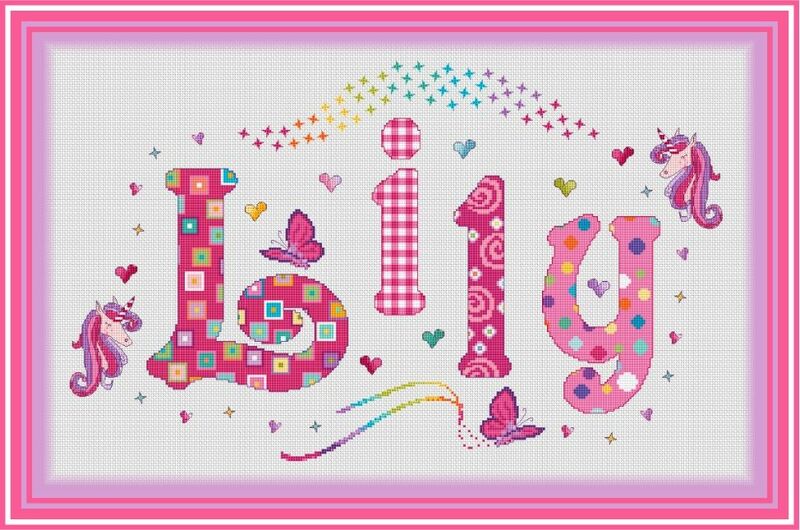 Full and fractional cross stitches designed to look like funky fabrics! 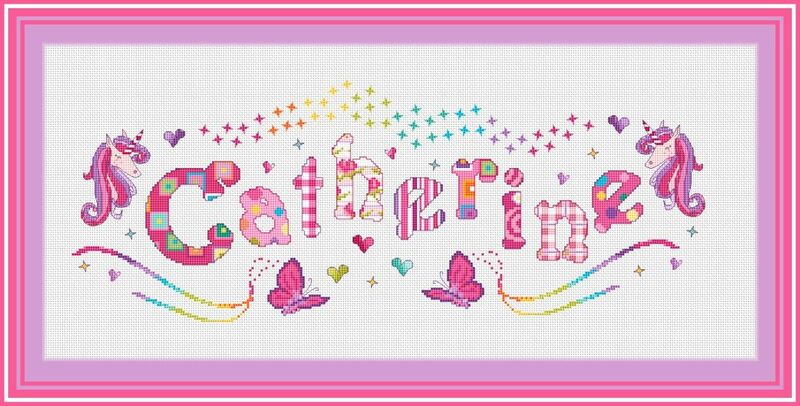 PLEASE ENTER THE NAME AT THE TIME OF ORDERING - THE PRICE VARIES FOR COMPLETE KITS DEPENDING ON THE NUMBER OF LETTERS. 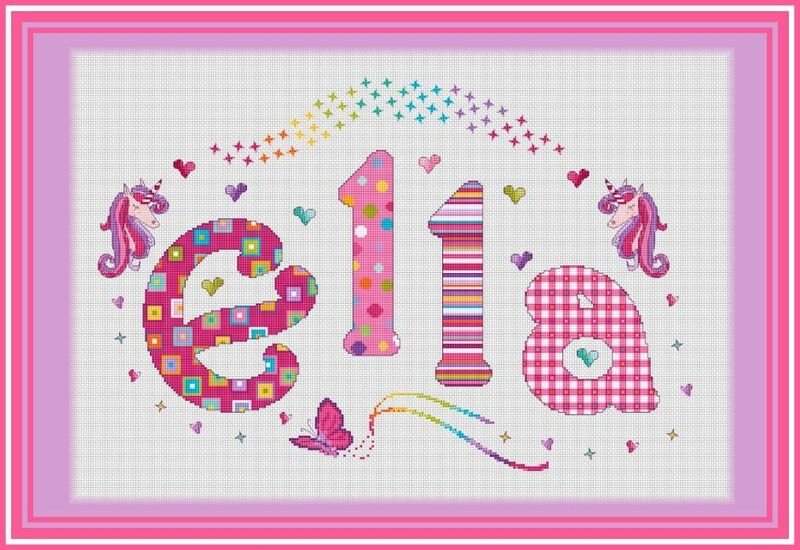 If you would like to see more from our quirky range of Enchanted-Needle designs please return to our Etsy shop or our website.